You are proud of the business that you have built and the products that you have developed and want to share it with the whole world. But what works in one market doesn’t necessarily work in a different market, especially if there are language differences involved. Just as you expect anyone who comes to your home town to adapt to your customs, so should you adapt your brand to the foreign market. This is called branding localization. 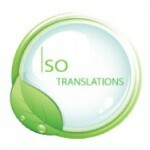 First off, you hire a translator or translators to convert your content to the target language. For marketing purposes a strictly literal translation will not do. Content must also be edited, removed, replaced or added so as not to offend the target market and moreover to make your brand appealing. 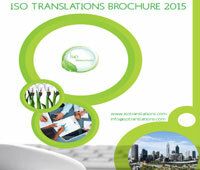 A native translator working for some time in a translation agency is ideal for branding localization. A non-native, no matter how good, will only know the textbook form of the language. A native translator would know how to phrase the words so they would sound natural. A badly-phrased translation will sound alien to your target market’s ears, and what you don’t want is for your brand to be alienated. You want your brand to blend into their culture seamlessly, as if it was part of it all along, making it easy for them to trust your brand and buy your products because they feel that you are one of them. A merely imported brand will be treated with wariness or even ignored. Successful branding localization will feel that the content was not merely translated from the original, but rather it is brand new content created specifically for the target market. This makes them feel special, that you took the time, effort and money to research what they want, that you want to be part of their lives. Branding localization sounds complex and intensive, but it’s really just about the language. The effort needed is only in the beginning but the rewards are for the long-term.